This article first appeared in The Edge Financial Daily, on November 24, 2017. 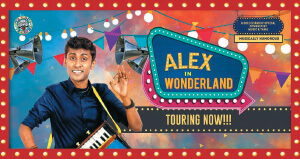 South India’s comedy sensation Alexander the Comic makes his solo touring debut in Alex in Wonderland. The young comedian has gained a steady following with his viral Youtube videos in recent years, and has just completed his national tour The Yogi and the Bear around India with over 25 packed performances. Taking his inspiration from his village life in Tamil Nadu and his time working in America’s corporate scene, and occasionally bursting into song, the jolly Alexander is sure to have you caught in fits of laughter. Don’t miss his only Malaysian show this Sunday at 8pm at the KLCC Plenary Theatre, Jalan Pinang, Kuala Lumpur City Centre, Kuala Lumpur. Tickets are available online at www.ticketpro.com.my. 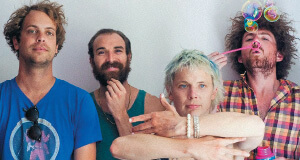 Catch the four-piece band POND from Perth, presented by Tiger Beer’s #UncageMusic platform. The band mainly experiments with psychedelia, and has a track record of performing with the Arctic Monkeys around Australia, as well as their own successful tour around Europe. Supporting their performance tonight is the band Like Silver, with their own brand of music best described as sci-fi melancholia. Catch the smashing performance at 7pm tonight at The Bee, Publika Shopping Gallery, Jalan Dutamas 1, Solaris Dutamas, Kuala Lumpur. Tickets are priced at RM190. Grab yours now at www.galactix.asia. 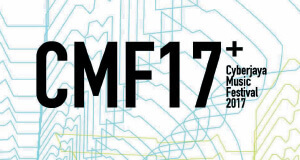 Head to the Cyberjaya Music Festival tomorrow for a lively day filled with music, films, and art. The event features an impressive line-up of performers, including SevenCollar T-Shirt, The Venopian Solitude, and Pastel Lite. Collector’s Market makes an appearance with music-centric market, while The Daily Seni will be screening a number of local and regional movies. The Cyberjaya Music Festival will be held for one day only from 9am to midnight. Admission is RM35 for adults, RM25 for students, and free for those under 15 years old. 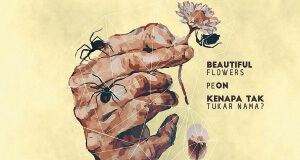 Get your tickets now at www.kedai.tapau.tv. Presented by the Italian Trade Commission and the Italian Embassy of Kuala Lumpur, the week-long event The Extraordinary Italian Taste: Italian Street Food concludes this Sunday with the Mamma Mia Italian Brunch from 11am to 3pm. Be prepared for a marvellous dance of flavours on the palette with Chef Roberto’s haute and fusion cuisine, which has won him Starwood’s Dinner-Around Award for the best cuisine in Sardinia. The brunch is priced at RM121 per adult, and RM60.50 per child aged 9 to 12, whereas younger children dine free of charge. 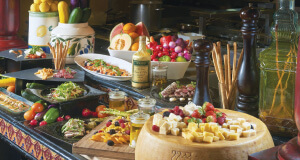 The Mamma Mia Italian Brunch takes place at Villa Danieli, Sheraton Imperial Hotel, Jalan Sultan Ismail, Kuala Lumpur. For bookings or enquiries, visit www.sheratonimperialkualalumpur.com or call (03) 2717 9922. 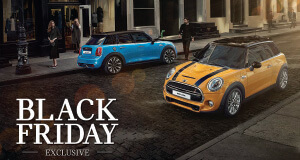 MINI is offering a Black Friday promotion you absolutely won’t want to miss out on. Get rebates of up to RM22,000 when you purchase a new MINI 3-Door or MINI 5-Door, as well as interest loan rates for as low as 2.38% from BMW Credit Malaysia. There are also a number of prizes waiting to be snapped up, including a new iPhone X, a new Samsung Galaxy 8, MINI Advanced Eye Cameras, and a grand prize of a trip to the MINI Plant in Oxford, UK. Get hold of these attractive deals at any MINI Authorised Dealer in the country from today to Sunday. Look for your nearest dealer at www.mini.my. 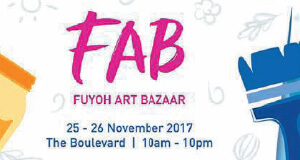 Don’t miss this year’s final Fuyoh Art Bazaar (FAB) at Publika. 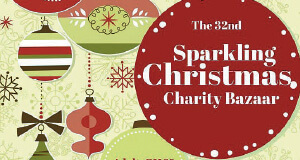 The FAB will see the unique styles of over 40 different creative vendors, selling a wide variety of items, spanning from watercolour postcards to jewellery and mini terrariums. The bazaar will also offer an opportunity to see the artists at work through their live demonstrations, or get involved yourself with their creative workshops. Immerse yourself in the artistic side of life tomorrow and on Sunday at The Boulevard, Publika Shopping Gallery, Jalan Dutamas 1, Solaris Dutamas, Kuala Lumpur. For more information, seek out the Facebook event page, “FAB November Edition” or call (03) 6211 7877. Malaysia’s largest baby expo is back this year with a whopping 500 brands in baby care products, toys, maternity clothing, and even biotechnological and stem cell services. Expect to enjoy great discounts, as the expo offers discounts of up to 90%. There’s also more to the expo than just shopping — join the Baby Photogenic Contest with your child of up to 4 years of age, or stand a chance to win attractive prizes from the featured brands with their various promotions. 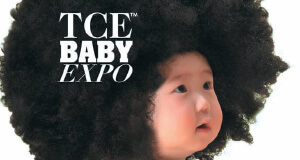 The TCE Baby Expo takes place tomorrow and on Sunday at the exhibition centre in the Mid Valley Megamall, Lingkaran Syed Putra, Mid Valley City, Kuala Lumpur. Admission is free. For more information, visit www.tcebaby.com.my. Dialogue in the Dark Malaysia celebrates all things Star Wars in their fundraising exhibition for the visually impaired, held in conjunction with the International Day of Persons with Disabilities. The highlight of the event is a dark room in which participants get to experience elements of the popular movie franchise through sound, smell, touch and taste, raising awareness for the blind. Star Wars fans will also get to enjoy many activities, such as a light saber performance, Jedi mind building, and an auction for ten Star Wars figurines. Experience all this, and more, tomorrow and on Sunday at Sunway Putra Mall, Jalan Putra, Chow Kit, Kuala Lumpur. For more details, look for the Facebook event page “Feel the Force ‘In the Dark’”.